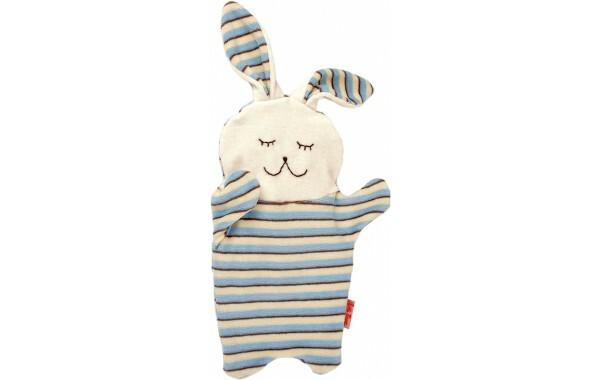 The organic blue striped bunny has a pocket that holds a cherry stone pouch which can be warmed or cooled to soothe minor aches and pains or taken to bed to enjoy the warmth on a cold night. 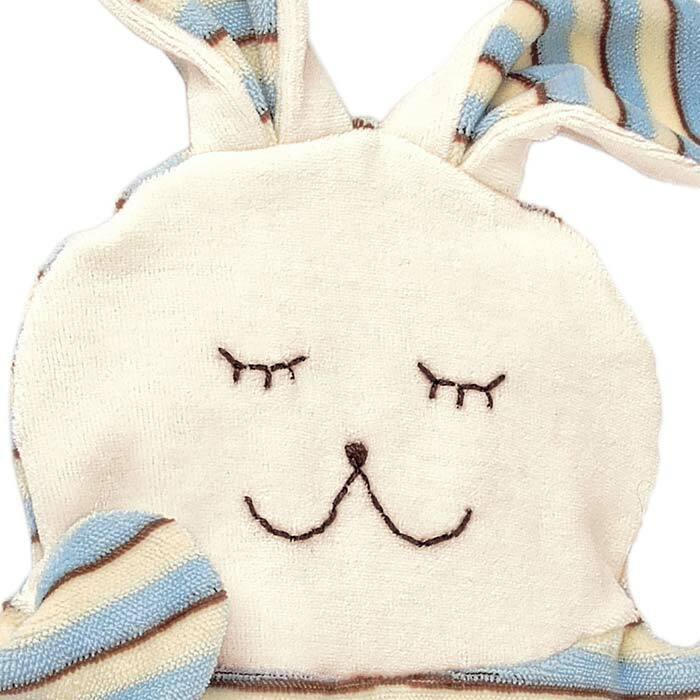 The pillow holds the warmth extremely well and molds to your shape for comfortable use. 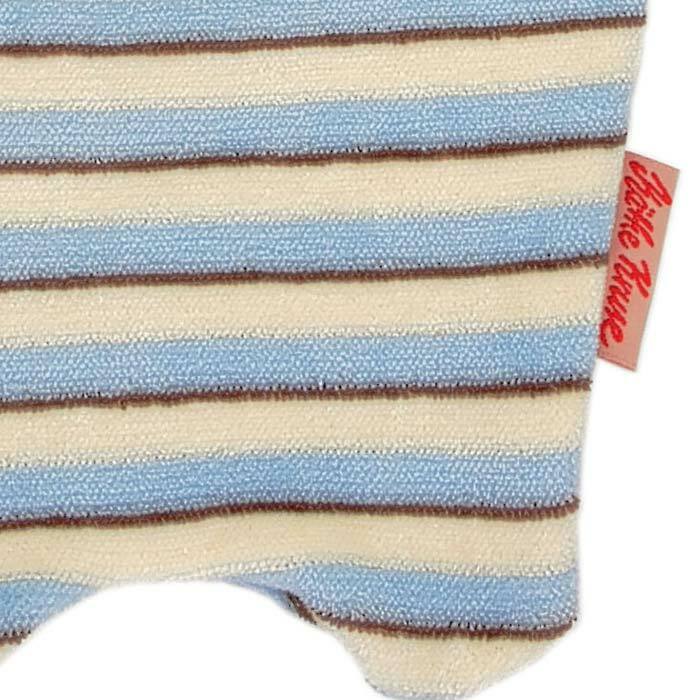 Made of 100 % organic cotton and wool from biologically controlled farms. Remove the pouch from the cover and heat carefully in the microwave or place in the freezer to cool. WARNING: Before using, test the temperature of the pouch and never use the pouch without its protective cover. Please follow the detailed instructions included.